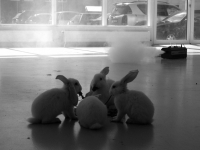 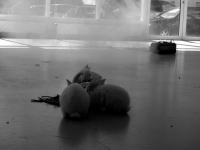 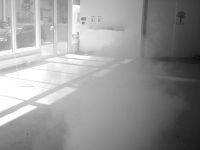 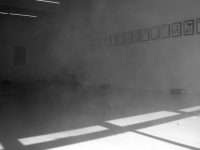 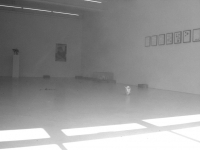 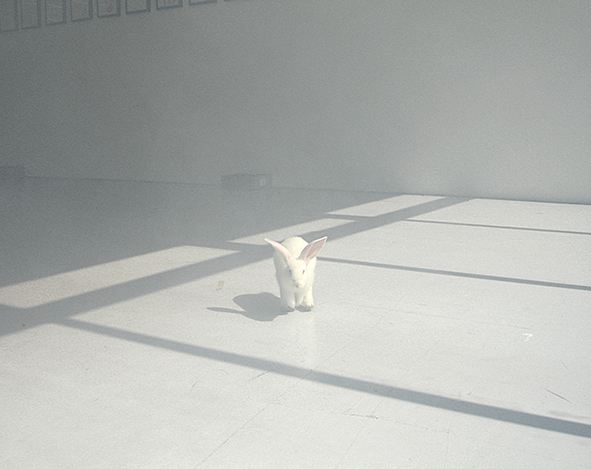 Four white rabbits exhibited in the company of an automated smoke machine. 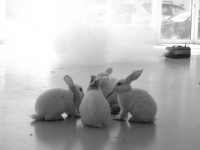 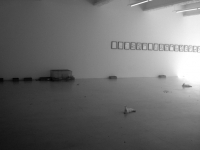 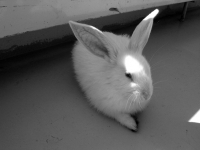 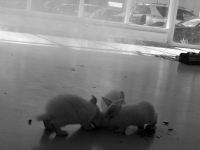 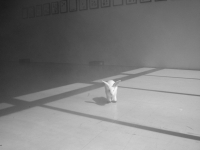 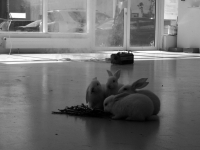 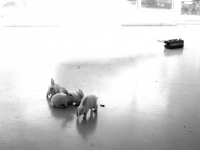 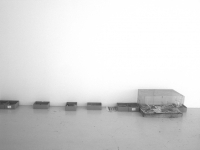 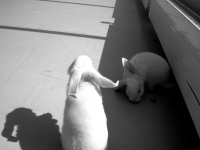 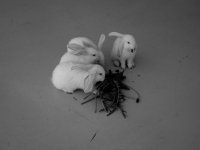 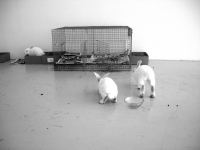 The rabbits form a metaphor of the Absolute in the moments when a rabbit enters into the white smoke of the machine. 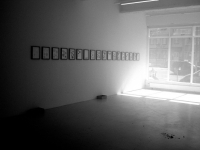 The metaphor is derived from Hegel’s preface to the Phenomenology of Spirit wherein Hegel states that if in “the Absolute everything is the same [it is] to palm off the Absolute as the night in which, as the saying goes, all cows are black” in response to Schelling's definition of the same concept. 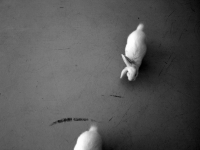 The rabbits seek to describe the Absolute as a metaphor, but just as Hegel's cow metaphor denotes an unsuccessful attempt at understanding the Absolute, so the rabbit metaphor also seeks to embody the very misunderstanding that the metaphor conveys. 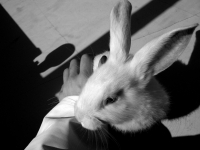 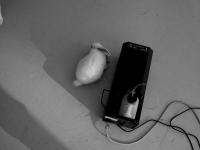 The success of the rabbit metaphor to do both simultaneously (represent the Absolute and a misunderstood version of the same concept) depends on a double inversion; first on the level of language (white / black, fog / night, rabbit / cow), and then in the reality of rabbit maintenance with the lack of austerity involved in this attempt to embody the Absolute.